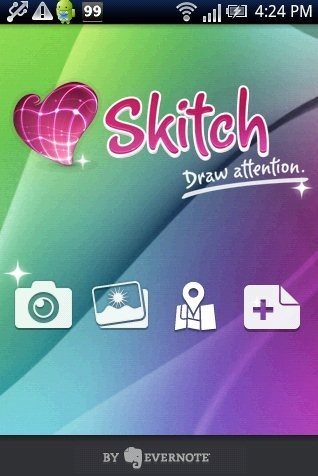 Skitch is a free Android app to edit images with drawing on Android. 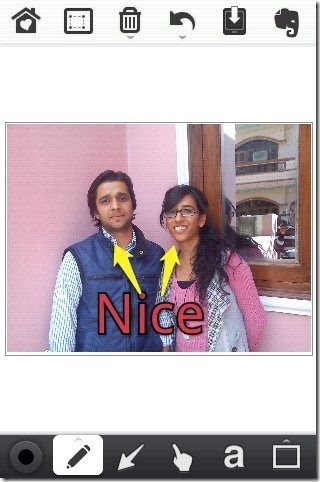 Skitch for Android is a nice app to work on multiple images and edit them on Android. This image editing app is a very simple app that works excellent on Android. The special feature about this intelligent image editing app is that, the app edits the image with drawing effect on Android. Just launch the app, import any image which you want to edit from your phone’s gallery and edit the image the way you want by your unique drawing style on Android. I really liked Skitch app when I installed it on my Android phone. I imported and edited number of images with this image editing app. You can even share the edited images with anybody. Tell them that you have drawn this real image on your Android and show them the art of your editing and drawing an image. 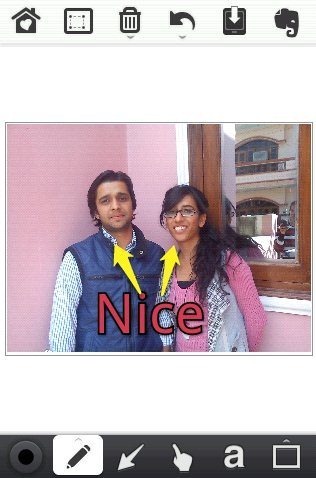 With Skitch, you can even crop any image and delete the unwanted part of the image. 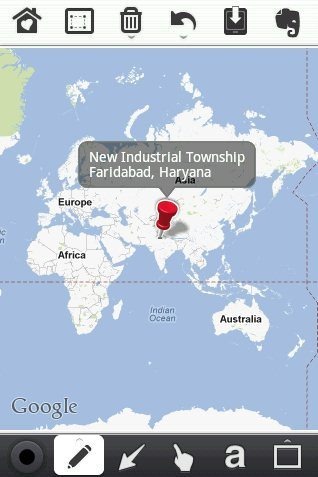 The interesting part of this Android image editing app is that, you can capture any part of area in Google map, edit the captured map and then you can share it from within the app. Take a look on Sketch N Draw app for Android reviewed by us. You can draw effects and edit any image on Android. The app even allows you to create a drawing without importing any image on your Android. You can take an image from your phone’s camera and edit it in real-time. You can add arrow, mark the selection, add circles to any image. The app even allows you to add text in any image. You can save share the edited image from your Android. 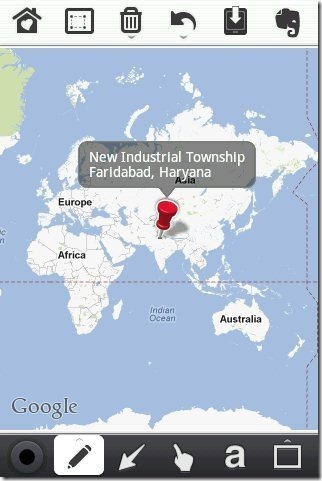 You can edit the Google map from within the app. The app allows you to crop any image and delete the unwanted part from any image. Undo/Redo the work done in the app. Select from multiple colors to make your drawing colorful. Also, check out Draw-n-Chat app for Android reviewed by us. 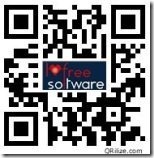 Scan – QR Code with Barcode Scanner app. Unable to scan QR Code? – Search – Skitch app in Android Market. Install – Tap on install option to install the app. 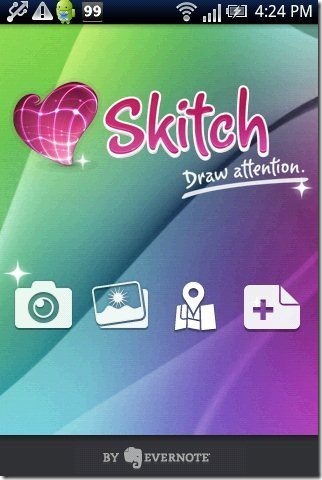 The free Skitch app will be automatically installed. Just show the art of your drawing and giving effects to any image on your Android phone. Draw like you are professional artist and make photos attracting and funny with this smart image editing app on Android.